Remember how we used to say “There's a website for that” when we needed something basically in every aspect of our lives? Well, it’s 2018, and now there's an “app for that”. Or is it better to say “a hundred apps for that”? It’s really easy to get confused and lost from so overwhelmingly big choice of apps, especially in a health-related matter like running. 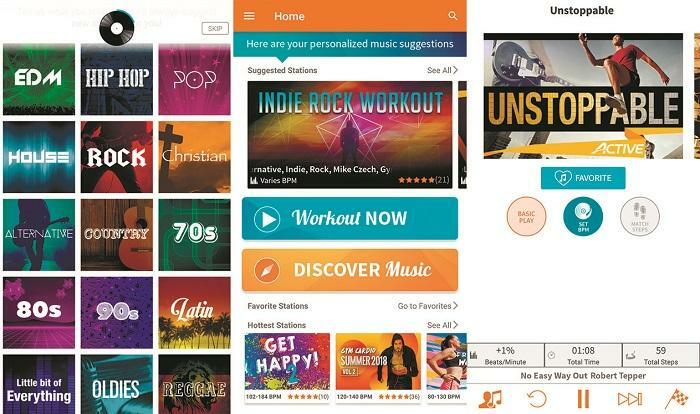 To save you time on searching, installing, and trying what works for you, here’s a compilation of the best running apps of 2018, that will cover all your needs: from training plans to activity tracking. Let’s go! This app is a goldmine for the beginners. How to start running, training plans for 5k, 10k, half and full marathon, injury prevention advice, exercises, nutrition and so on. It has all the information you’re going to need on your way to become a runner. Seasoned runners can get a lot off it, too. There’s quick access to Training club community forum, where you can find or share some information. Basically, it’s just an analog of the website, but it’s 2018, right? So if you prefer having all the information structured in one app over having a ton of bookmarks in your browser, this app fits you well. Also read: Proper running form. If you don’t want to dive into all that theory stuff and just go out and run, this app is what you need. It will accurately guide you all the way from a couch potato to a running potato in a universal 9-week program. You will start off with run-walk method 3 times a week and will get to the point where you can run a 5K at a time. You can switch to a 10K program after. The bright side of this app — these 30-minute workouts work. If you are completely new to running or long forgotten this habit, it will do the job. The downside — they might not fit everyone. Say, if you are an athletic person, you may start right away from week 7. Conversely, if you are overweight, you might want to defer the jogging, which the app wants you to do on the very first training, and start off with plain walking instead. Also read: How to start running. 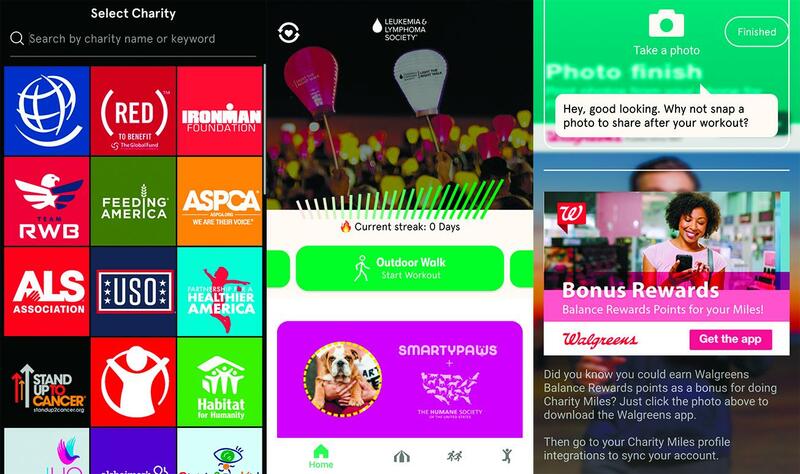 This app has been in a top chart for years already, and there’s a good reason for that. 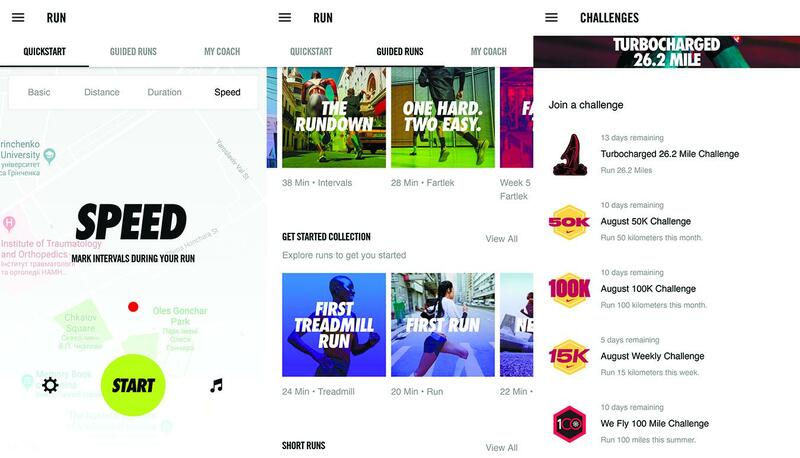 Like most of the running apps, it tracks your progress over time. But its competitive features really make this app stand out. You can upload data from a wide range of compatible GPS devices and see how you stack up against other runners on the same route. 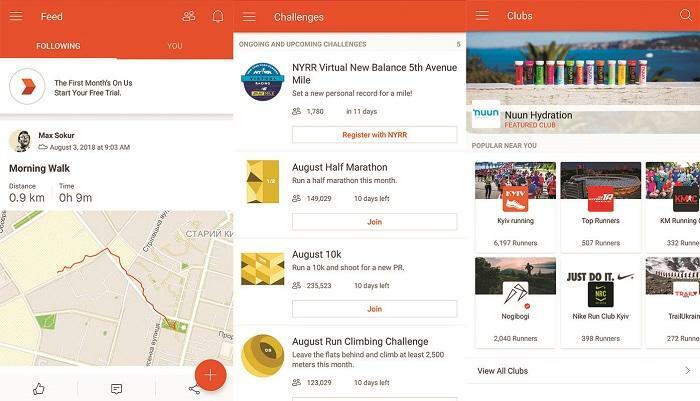 Besides just tracking your progress, Strava provides in-depth data and tracks all kind of metrics, which is neat for advanced runners. 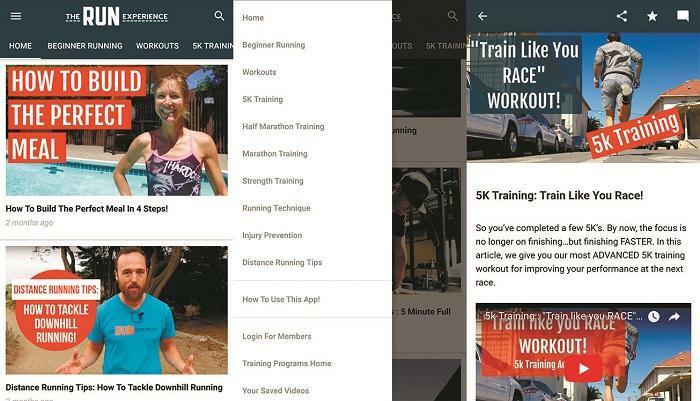 Also, it can help you find local races, city running guides and running clubs. Another great app for tracking activity, finding new routes and competing with others. 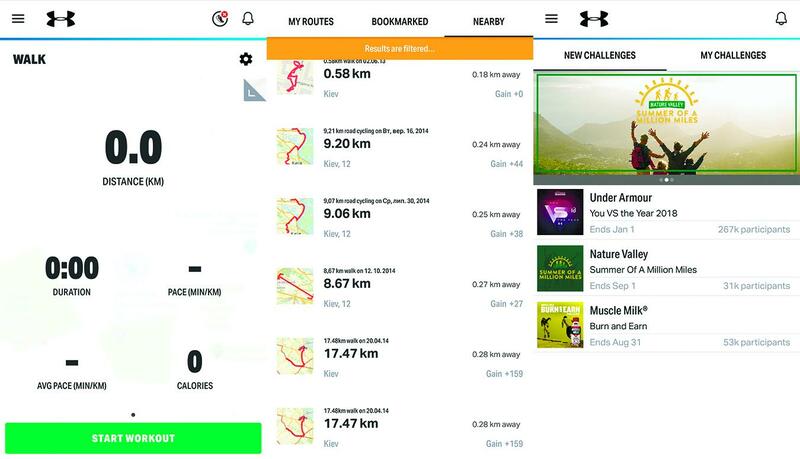 You can search through other runner’s routes, select one and try yourself on it. There are challenges to spice up your running routine and boost a little motivation. You can also you a variety of tracking devices with this app. 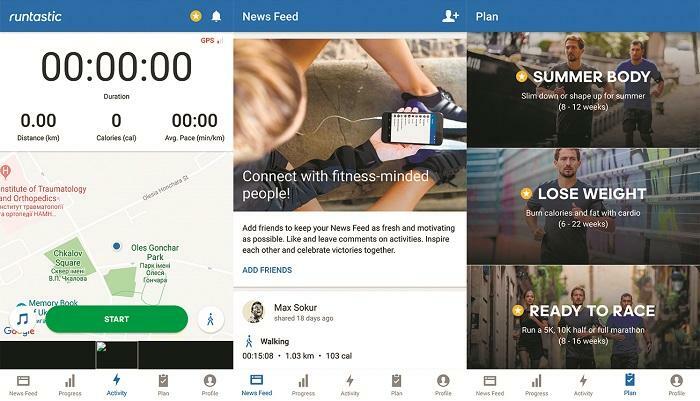 But what you rarely see in other apps — you can connect smart shoes and collect very accurate data. Although this app is similar to Strava, it has some unique features and a lot of useful functions in MVP package. And… you guessed it! A running tracking app. The neat design makes it super easy to use so you won’t have trouble even on the first run. But this app really goes beyond simply tracking performance. Its unique features make this app unlike any other. Besides My Coach training plans, this app provides guided runs, and they are just great. You can download audible guides for every occasion, first run ever, training to half marathon, hill or speed workouts, voiced by famous athletes. And don’t forget to take a quick snap of the course you run. 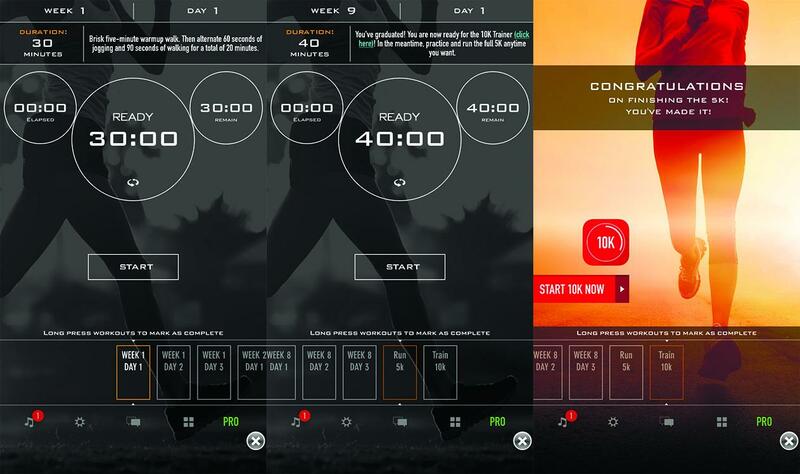 Now, if you lack motivation or a cause to run, this app is what you need. The idea is simple but brilliant — for every mile you run, companies such as Johnson and Johnson, donate 25 cents towards the charity of your choice. There’s a lot of great charities in the program, including Stand Up To Cancer, ASPCA, Habitat for Humanity, Alzheimer's Association and many more. You can make a difference by doing what you’re doing every single day — moving. If providing for a charity doesn’t motivate you, maybe running from zombies will? 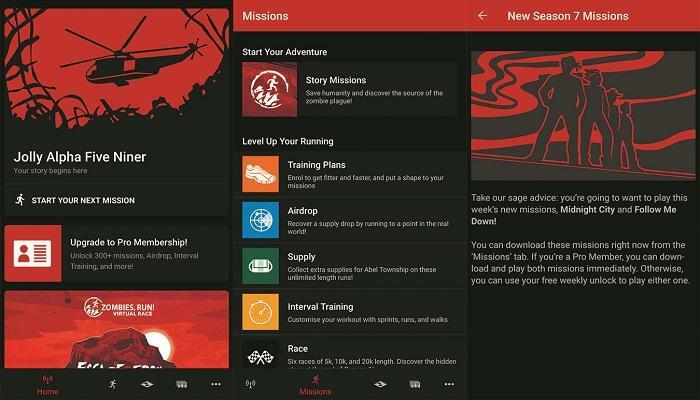 This app puts you on a mission to survive a zombie apocalypse, infusing terror with a series of audible stories mixed in with your own music. Being chased by the zombies, primal fear, and a will to save your own base really keep you going. If we’re going ham on motivation, perhaps a little jam would be appropriate. This app is truly exceptional. It is a widely known fact that upbeat, lively music can improve your performance. RockMyRun recognizes this fact and provides you with the best workout music possible. And don’t get me wrong, it doesn’t just play some peppy songs, like AC/DC. This app adjusts the rhythm to your stride to further improve your running intensity and efficiency. Already motivated enough? Then back to fitness trackers. This app provides you with various training plans (premium) and helps to track your performance easily. It also maintains a detailed log of all your workouts, letting you compete against yourself and see your progress over time. What makes this app stand out is quite a unique Story Running feature. You can download podcast-like stories and listen to them on the run. Each story is about 35-40 minutes long to match the duration of your workout.